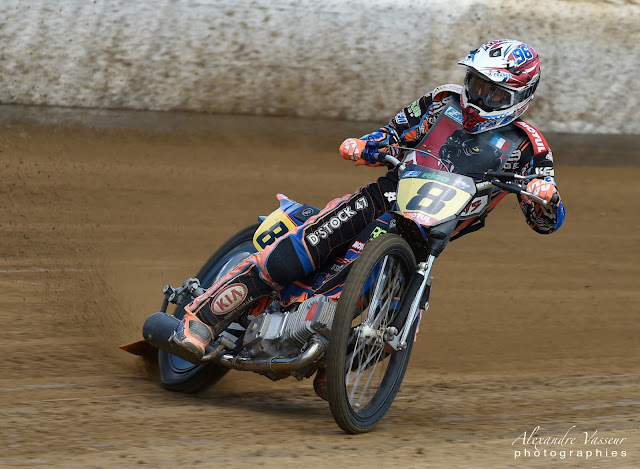 Eisspeedway Journal: DIMITRI BERGE,NEW EUROPEAN LONGTRACK CHAMPION 2018! DIMITRI BERGE,NEW EUROPEAN LONGTRACK CHAMPION 2018! 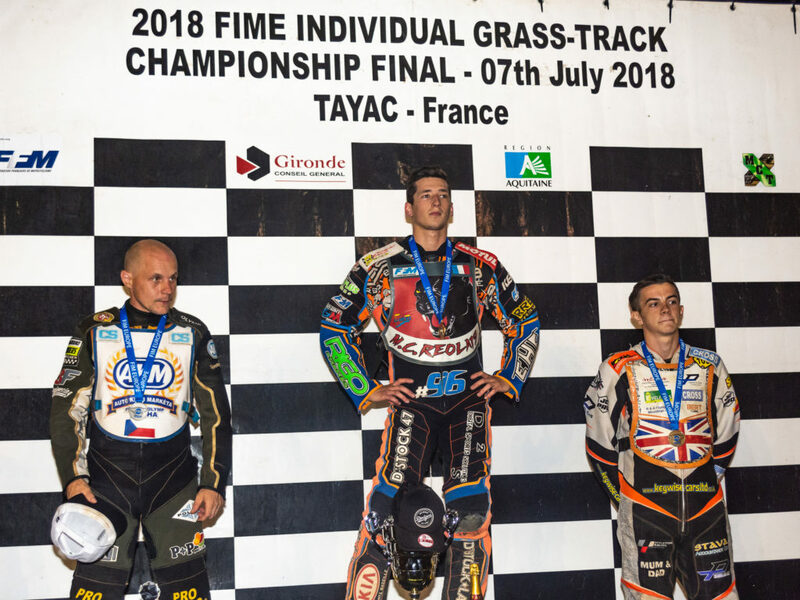 The European Individual Grass Track Championship Final was a very hard fought competition staged on an extremely hot evening at the Circuit Jacques Rossignol, at Tayac in the South of France. With each of the 20 riders competing in four qualifying heats, before earning their place in one of three Finals (C, B and A), racing was always going to be hard and fast on the 400 metre track. Unfortunately one of the pre meeting favourites – young Dutchman Romano Hummel – crashed in his first heat, and after receiving medical attention on the track, was then taken to hospital with a suspected broken leg. With the winner and second placed rider of the B Final being elevated into the main A Final, this race was always going to be one of the toughest of the evening. However Czech rider Martin Malek leapt from the tapes, chased by defending European Champion James Shanes. Although Shanes chased hard for 4 laps he was unable to catch Malek, and the two of them took their place in the ‘winner takes all’ A Final. The 1500 spectators were then treated to an epic Final with six riders representing three of the FIM Europe Federations (ACCR, ACU and FFM). French Dimitri Berge made a lighting start, closely followed by Czech rider Josef Franc and 20 years old English Zach Wajzknecht. Despite the vast experience of Franc and the enthusiasm and speed of Wajzknecht, none of them was able to catch Berge, who roared over the winning line to the delight and applause of the home crowd.